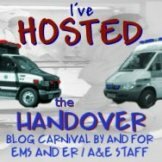 I am ashamed to say that I missed Ambulance Drivers post calling submissions for his edition of ‘The Handover’ EMS Blog carnival. The carnival has been growing all year, but this one could well be the biggest yet, so make sure you are part of it!! “Unless you’re extremely lucky or brand new, every emergency medical professional has pulled a holiday shift. Doesn’t matter if you’re a nurse working a busy ER all night on Christmas Eve only to go home dead-tired and wake the family to open presents, or the medic who left his family on Christmas morning to post on a lonely street corner somewhere, or the firefighter who spent the holidays with his surrogate family at the firehouse, or the doctor managing the madhouse that is the Emergency Department on New Year’s Eve – we’ve all been there, and done that. Deadline for submissions is midnight, December 18, and the Handover will be published at his blog by noon on December 23. SPREAD THE WORD, lets make this one the biggest yet.